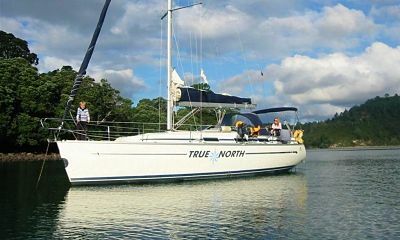 When winter comes to northern hemisphere boaters, it is time to head south. Though many stop at the tropics, there is a watery wonderland to discover if you head even further. 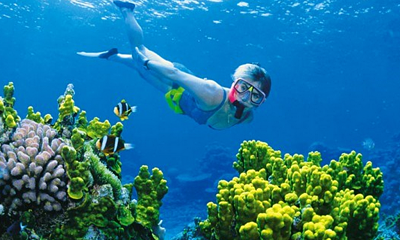 The island nation of New Zealand is a great way to get your fill of boating and other on-the-water activities. Auckland, its North Island capital, is a great place to begin. 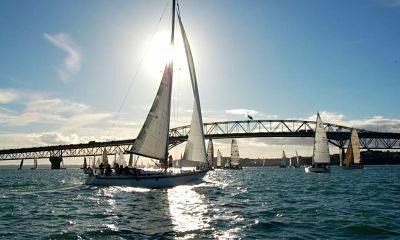 From the traditional outrigger canoes used by the native Maori tribe to sailing, fishing, and more extreme activities, Auckland offers lots of ways to boat as well as a large number of water activities to do while boating. Not sure what you should do? Take a look at the many fun things to do, and then come down and try for yourself. Kayaking is first on this list, both because it allows access to explore the many uninhabited coves in New Zealand, but also because it is the closest method to the traditional outrigger canoes that were used by the Polynesians who first came here. Though some regions are rough for novice sea kayakers, there are lots of great sheltered areas to try, and a large number of kayak outfitters ready to help you sharpen your skills. Calm-water kayakers should try Long Bay, Scandretts Bay, or Whakanewa. Fishing by kayak is popular at Waharau, and those who want to journey to Tiri Tiri Matangi on a kayak expedition often leave from Tawharanui marine reserve. 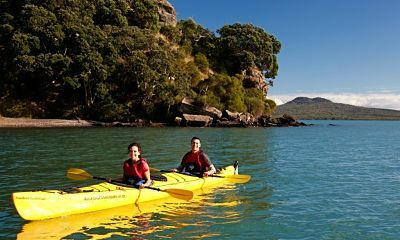 New Zealand also has a designated five-day sea kayak trail, called Te Ara Moana, or “the sea-going pathway.” It is a traditional route used by Maori to trade goods, and is a great combination of marine and terrestrial sights, and historical locations. Campsites are available on the five connected New Zealand Regional Parks, and a detailed itinerary of the trail can be found on their website. Of all the things to do by boat here, this is probably the most popular. The sheer mountains of New Zealand are beautiful to explore by water. They were the backdrop of the epic Lord of the Rings movie series, and many of the most breathtaking backdrops can be seen by water. History buffs can follow the paths of the Maori or the European explorers who first sailed here. Nature lovers can find many different kinds of wildlife. There is something for almost everyone to see here that will almost always exceed expectations. Whether you want a day trip or a long journey, Auckland is an amazing place from which to set sail. As a central cove in an island nation, Auckland offers easy access to the east coast of the North Island. If you have several days, a trip to the South Island is highly recommended. The South Island is more extreme and mountainous, and the southern coast has arctic wildlife like penguins, which can be amazing to boat around. New Zealand is also a great place to head north and go toward Australia, if you are in the mood for a long, international passage. This new craze is as popular in New Zealand as it is in other water-loving areas. A combo of surfing and canoeing, this great workout gives you a bird’s-eye view of marine life and fabulous abs at the same time. Paddleboards are great to stick on a boat and head to an island, anchor off, and play. They are also a fun way to look at wildlife such as fish, seals, sea lions, porpoises, and if you travel to the South Island, penguins. 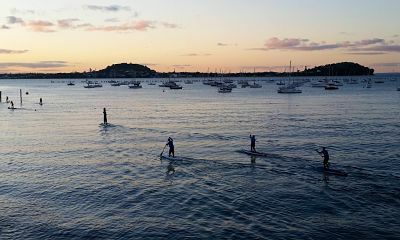 Many rental places are available in the Auckland area for paddleboards. Try them for an hour, or take them with you on a boating tour for several days. No matter how you use them, it is sure to be a surprisingly easy and fun way to be on the water. Cold water provides great visibility and large, well-fed wildlife in many regions of the world, and New Zealand is no exception. Shipwrecks, steep rocky cliffs, lava tubes and pinnacles, and sandy bottom reefs form the backdrop for a spectacular array of wildlife here. Sea turtles, large invertebrates like crayfish, huge schools of silvery midwater fish like Mau Mau, or large and unique creatures like manta and sting rays are just a few of the amazing creatures to be seen. 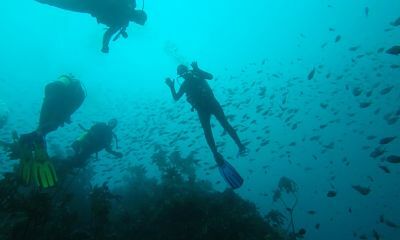 There are a lot of great dive outfitters to choose from in Auckland, who can take you on a single or multi-day dive excursion. Or, if you prefer, rent some gear from them and get their recommendations on the best sites for the season (visibility can vary in some of the areas based on time of year), and head out in your own boat for an unforgettable day underwater. Top dive sights in the region include the Rainbow Warrior shipwreck, HMNZS Canterbury shipwreck, Cathedral Cave, Putahataha Island, and many more. If you like the idea of diving, but the equipment and the training puts you off, snorkeling is always a great alternative. The water here is not tropical, but if you have a wetsuit, ocean swimming and snorkeling can be an excellent way to work out, cool down from a day of sailing, or just relax and have fun. New Zealand is the home of many famed triathlons, and there is a lot of ocean-based swimming to be done here in the calmer bays. Be careful of tides — if you are unfamiliar with rip currents, be certain to ask which beaches are safe for swimming when you go. This changes with the season and the phases of the moon, but there is always somewhere that will be swimmable. If you have a surfboard and access to a car, New Zealand has a large number of fabulous surfing opportunities. If you have access to a surfboard and a boat, that number expands many times over. Three or four surf schools exist on the west coast, just across from Auckland on the island. Pop over and rent a board, chat them up and see where the waves are best today. Remember that they will not tell you the locals’ beaches until you have proven yourself, so consider taking a lesson or two to see if you can get better info on good beaches. 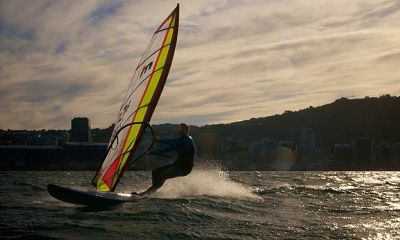 Though windsurfing has lost some of its popularity to the trendier stand-up padleboarding and the more adrenaline-causing kitesurfing, it still is a fun way to spend a day on the water. 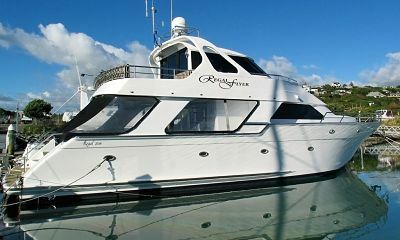 Bring one aboard a boat to hit a secluded beach, or just rent one at one of the locales near Auckland. You will not be sorry. If you have always wanted to fly, kitesurfing will get you pretty close. This cross between wakeboarding, surfing, windsurfing, and gymnastics is tricky to learn, but epic to experience, provided you have the agility, discipline, and courage to try. From the trout-filled mountain rivers and the large inland lakes to the ocean, there are many different places to fish around Auckland. 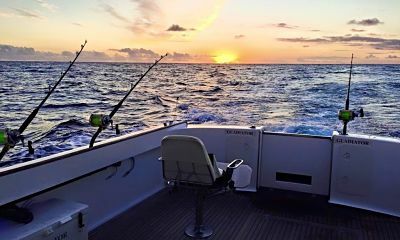 If you are interested in deep-sea fishing, find a charter or take an ocean-going boat and try and catch a tuna, jack, or other large pacific fish. If you are interested in lake fishing, there are lots of local stocked lakes, and a small, open boat with a trolling motor is all that you need. Though you do not necessarily need a boat to fly fish for trout in the rivers, renting a whitewater kayak can still give you an exhilarating ride before or after. If you love the idea of international travel but do not want to be at the helm, cruising is a great way to explore New Zealand and its neighbor nations by boat. Cruises, both big and small to the South Pacific, Antarctica, Australia, and even just around New Zealand are all great ways to take advantage of the cruise business in Auckland. Cruising aboard smaller crafts like those offered on GetMyBoat is a great way to personalize your cruise and plan all the shore excursions you desire. Some yacht charters even include a jet ski rental, so be sure to explore your options. New Zealand is home to the famous movie, Whale Rider. Home to some of the most endangered whales in the world, including the Southern right whale, this is an extraordinary place to find many examples of the world’s largest animal. Most common here are sperm whales and orcas, though more than half a dozen species can be found during the right time of year. Whale watching boats are easy to find, though anyone with a boat, a good eye, and knowledge of whale grounds can find these beautiful animals. No matter what you love to do on the water, Auckland has a lot of opportunities to offer. For those who are looking for a winter boating paradise, the only risk here is that you will love it so much that you will want to stay forever.